The adt file extension is associated with the Advantage Database Server, a full-featured, easily embedded, client-server, relational database management system for Microsoft Windows and Linux operating systems. The adt file stores database created in the Advantage Database Server. 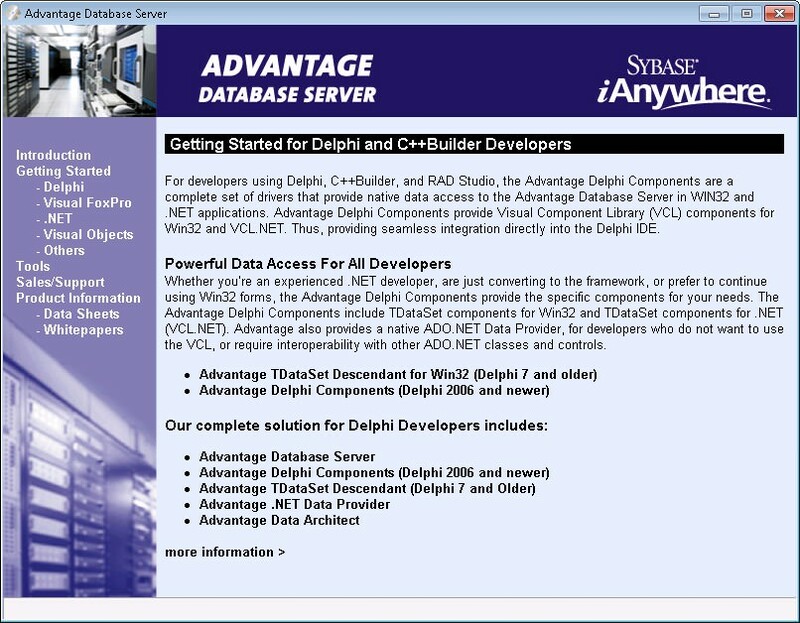 Advantage Database Server is a relational database management system based on Sybase iAnywhere for independent software vendors (ISVs), commercial software application developers, and small- and medium-sized businesses. Use Advantage Database Server to open *.adt database files. Probably can be exported to other database formats. Programs supporting the exension adt on the main platforms Windows, Mac, Linux or mobile. Click on the link to get more information about Advantage Database Server for open adt file action. Programs supporting the exension adt on the main platforms Windows, Mac, Linux or mobile. Click on the link to get more information about Advantage Database Server for edit adt file action. Programs supporting the exension adt on the main platforms Windows, Mac, Linux or mobile. Click on the link to get more information about Advantage Database Server for create adt file action.